You know how it goes. You’re watching a favorite show or reading comfortably in bed when you’re struck by thirst, and you have to make a decision. Do you lug yourself all the way into the kitchen to get a drink, or do you continue to progress slowly toward dehydration, because that’s just too far to walk? 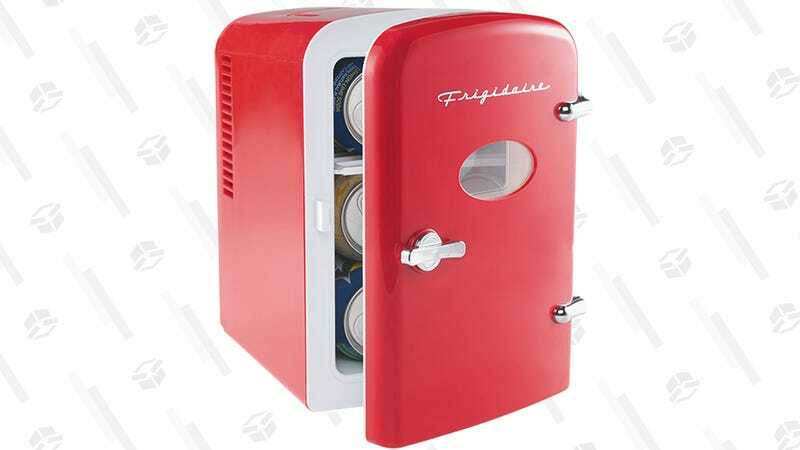 Say goodbye to that dilemma forever with the Frigidaire Portable Retro 6-Can Mini Fridge. It’ll allow you to keep a frosty stash of your favorite beverages in your bedroom, by the couch, at your desk, or even in the car. 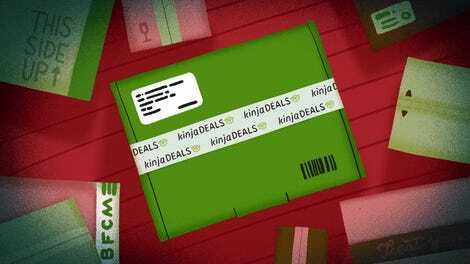 Best of all, it’s available today for $20 instead of the regular $40; convenience doesn’t normally come this cheap!